BlackBerry Niagara coming to Verizon in May? | BlackBerry Blast! BlackBerry Blast! > News > BlackBerry Niagara coming to Verizon in May? BlackBerry Niagara coming to Verizon in May? 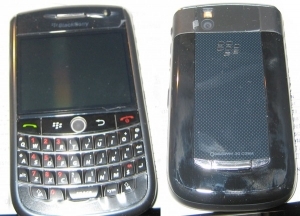 The BlackBerry 9630 Niagara could be coming to Verizon in May. Citing "analysts familiar with the plan," TheStreet says the latest BlackBerry world phone will hit Verizon in May. The release of the Niagara could be very important for RIM as they push back against a rumored new iPhone, and the much anticipated Palm Pre. Because the Niagara is a world phone, RIM could also sell it to Verizon's partner, Vodofone.